You read that right garage-rock pioneers The Sonics (special guest invitees of the Hoodoo Gurus on their national Dig It Up! tour) are to perform a one-off headline show this April when they appear at Oakleigh’s Caravan Music Club in the outer-suburbs of Melbourne.The godfathers of garage-rock, The Sonics laid down the blueprint for garage-rock back in 1963 with the release of their first single The Witch. They followed this 5 star release with even more gold soaked nuggets in Psycho, Boss Hoss, Cinderella, Strychnine, He’s Waitin’, Shot Down and Have Love Will Travel before calling it quits in 1968. Reuniting briefly in 1972 and again in 1980, The Sonics then took permanent leave while the rest of the world caught up with them. Revered and covered by the likes of The Cramps and The Black Keys (alongside a list of Australian bands too lengthy to mention), the influence and spirit of The Sonics has never waned and in 2007 they answered the call reforming at the invitation of the New York garage festival Cavestomp and followed that up with an appearance at Barcelona’s giant Primavera Festival, the London Meltdown (curated by The Kinks’ Ray Davies) and now Dig it Up! Ladies and gentlemen does it get any better than this? 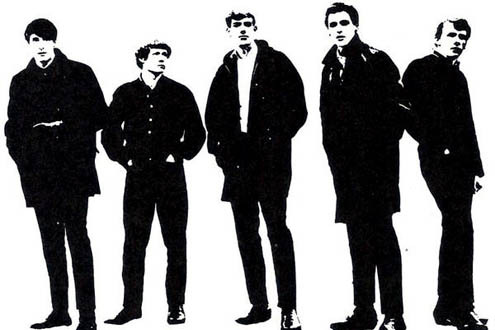 The Sonics! Tickets for this rare, intimate and exclusive headline show are on-sale Wednesday 14th March.Tickets for Dig it Up! The Hoodoo Gurus Invitational, Wednesday 25th April at The Palace in Melbourne, starring The Sonics, Redd Kross, Died Pretty, The Fleshtones, Steve Wynn, Hard-Ons, The Lovetones, Royal Headache, Beaches, The Frowning Clouds, guest DJ’s and more, are on-sale now from www.digitup.net.auDon’t miss this!